I had my first experience with roller derby last night! I’m not gonna lie, I loved it! Actual roller skating is a fuzzy memory – last time being probably 25 years ago. Since then I’ve done some roller blading and ice skating, but I have a problem. I can’t stop! I was thinking of trying out for the Betties, so I’m going to try and get this whole stopping thing under control. 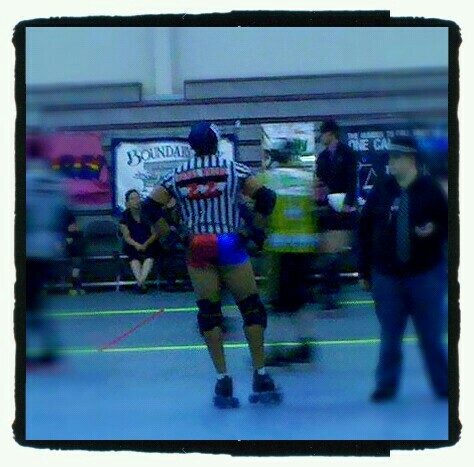 This picture is of one of the refs, who had a very form fitting uniform. One of the joys of the derby!